Commonly referred to as “turkey neck,” a saggy neck can be improved by a neck lift which removes excessive fat and tightens the muscles in the neck to achieve a more streamlined look. Loose skin around the neck can be a result of several factors including weight loss, aging, or gravity. Regardless of the cause, Denver plastic surgeon, Dr. Manish Shah, is able to perform neck lift surgery effectively improve a wide variety of cases. In some cases, Dr. Shah will pair a neck lift with liposuction to augment the benefits of the surgery. The results can be quite dramatic since the profile is greatly altered, resulting in a leaner, more youthful appearance with reduced lines and wrinkles. "From a first consultation to post op care with Dr. Shaw you know you are in good hands. He is the most professional, personable, caring and incredibly talented Plastic Surgeon. Also, as you step into his Office everyone is wonderful, receptionist, patient coordinator, surgical nurse. To have a Neck Lift with Dr. Shaw was a great decision. Thank you!" "Dr.Shah is highly knowledgeable and skilled surgeon. His enthusiasm is contagious, his confidence reassuring, and his staff is very caring. Now 5 weeks after the procedure (Neck Lift) I look and feel like new and improved version of myself." 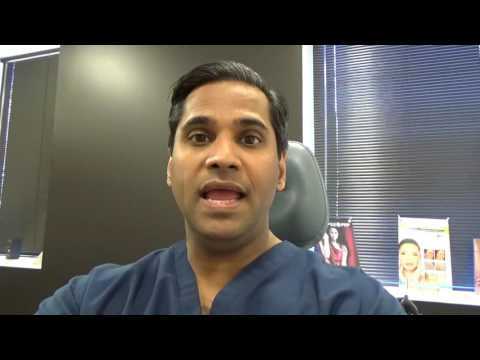 "Beautiful Neck Lift + Fat Grafting into Nasolabial Folds - Denver, CO - I was referred to Dr. Shah by his colleague. After meeting with him for a free consultation, I knew he is extremely knowledgeable, honest and so very personable and positive that I could have not made a better choice. His staff is incredible too. Jenifer and Jennie are so caring and fun, that you immediately feel calm and relaxed. I am very happy with Dr. Shah and I am sure I will come back for more treatments and skin care to keep me pretty." "A Look Worth a Million - Denver, CO - Dr. Shah was real good-he helped me decide on a procedure to make me look better. I think you have a real winner-so keep him." "Fabulous Experience with Dr. Shah in Denver - First off I am one-month post op and am over the moon happy with the results. I had neck lift with lipo and lower eyelids by Dr. Shah. My only regret is that I didn’t have this done sooner. Now let me go back to the beginning. I had consults with four top plastic surgeons and Dr. Shah stood out. He is very personable and took his time during the consult to listen to me and make helpful recommendations regardless of which doctor I eventually chose. And to top it off, I got a personal hand written note from Dr. Shah in the mail a few days later wishing me well on my search and to let him know if I have any further questions. Finally, his website (drmanishshah.com) is very informative and I would highly recommend it for anyone doing research for plastic surgery. Dr. Shah’s office and staff are a boutique experience. It is very private and the staff feels like family. Dr. Shah has a certified surgical operating room in his office where I had my procedure under local anesthesia. Which does lower the cost vs. doctors who only operate out of hospital or surgical center. Dr. Shah is partnered with a local surgical center and performs procedures there as well. At the pre-op appointment I was given very helpful information and products to use pre and post-op to speed my recovery. My surgery went very well. Rebecca, Dr. Shah’s surgical assistant is wonderful and was able to calm my nerves prior to the start of the surgery. Dr. Shah as a standard practice provided me his personal cell phone number to call if I had questions or concerns after hours. Both Dr. Shah and Rebecca called me that first weekend to check on me. Post-op care from the doctor and his staff has been a continuation of the excellence of the entire experience. Now for the cliff notes version: Bravo. A+. I highly recommend Dr. Shah."